Krissy, our practice administrator, has over 20 years of dental experience. She originally began her career as a chairside assistant in Arlington, VA. She brings to our practice a vast knowledge of dentistry from treatment sequence to insurance benefits. Krissy’s favorite part of the job is getting to help others. She loves bringing a smile to our patients faces each day, and she is a vital part of our continued growth. Krissy resides in Gainesville, Virginia with her husband, two boys, and puppies, Lucy and Roxy. As our Front Desk Coordinator, Andrew Barentine is the liaison between the patient care coordinators and the clinical staff. He is essential to our team, as he makes sure everything runs smoothly from your first call to your last day of treatment, and beyond! Andrew loves making a difference in people’s smiles and working with the patients that come through our doors every day. In his time outside the office, when he’s not taking classes, he enjoys driving on the beach, working on his jeep, and building computers. Sarah is one of the most multi-faceted members of our team. Some days she will be the first voice you hear greeting you on the phone and taking care of your scheduling needs. Other days she may be an asset to our clinical team helping to assist a doctor or another member of the clinical staff. Sarah’s favorite part of the job is getting to help others as they pursue the smile they’ve always wanted. She also enjoys building relationships with patients and getting to know them better. Sarah relocated to the area from Williamsburg, Virginia and currently resides in Arlington with her husband, Ryan. Melissa, our dental hygienist, joined our team in 2015. She is a native Virginian and was awarded the Virginia Dental Hygienists’ Association Student Award in 2015 while a student at Northern Virginia Community College. Prior to attending hygiene school, Melissa was a dental assistant for 2 years. Melissa chose dentistry because she loves working with patients and educating them about their oral health. Each of her patients leaves the practice with an individualized regimen geared toward keeping their teeth healthy. Outside of the office, Melissa loves spending time with her daughter and fiance, going to the beach, traveling, and playing with their dog Bailey. Erin joined the Fair Lakes team in 2018, bringing with her a wealth of knowledge and experience. She started her dental career in California, and found her way to Virginia. She earned a Certified Dental Assisting License in 2017! Erin chose her specialties, Full Mouth Reconstruction/Cosmetic, Invisalign and Oral Surgery because she loves that no case is the same. Her favorite part of the job is seeing the joy on patient’s faces when their dental goals have been achieved. The smiles and laughter when a patient sees their teeth for the first time are priceless. Outside of the office Erin loves spending time with family and friends, traveling, exercising and cooking. Mavis is our office mascot and therapy dog-in-training. 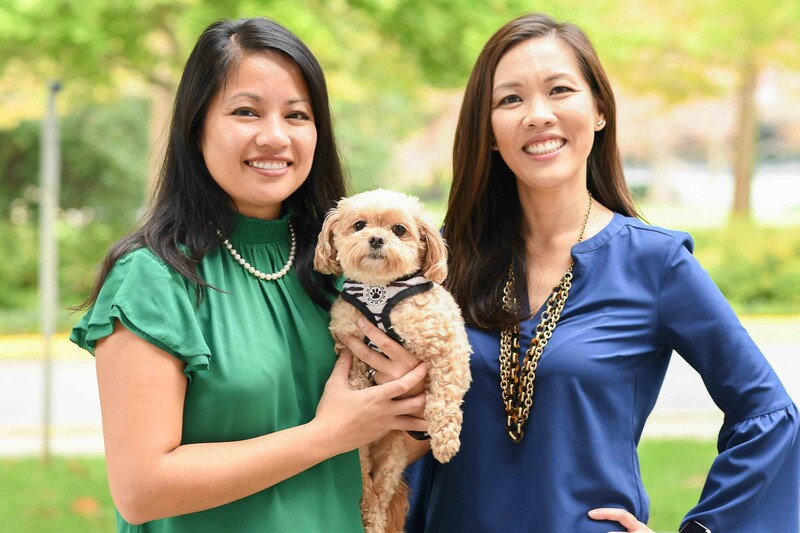 She is Dr. Tran’s maltipoo, happy to provide her therapeutic services to help ease our patients’ anxiety. Most of the day she spends either roaming our halls or napping in patient laps. Please say “HI” to her at your next visit and offer her a belly rub.